It was Marty McCutcheon’s bad luck to die on his birthday. Then again, since Marty is the third husband his young widow will be burying, maybe luck had nothing to do with it. 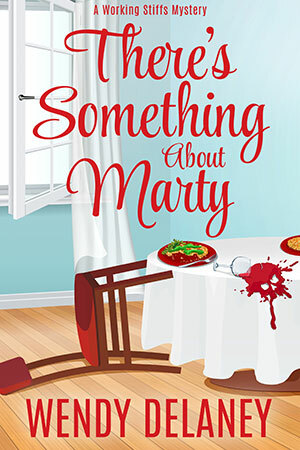 As Deputy Coroner Charmaine Digby discovers when she questions Marty’s widow about his sudden death, she had ample opportunity to kill him. Victoria McCutcheon even admits as much, right before she asks Char to solve her husband’s murder. What? A suspected black widow who wants her husband’s murderer brought to justice? Victoria McCutcheon is either the most skillful liar Char has ever encountered or someone else has spun a web of lies to cover their murderous tracks. But who, and why? With no hard evidence to go on, it’s up to Char and her ability as a human lie detector to break this case wide open. Assuming that someone doesn’t crack her skull open first!